← Changing the Watchtower: A Hopeless Task? Based only on the number of TV and newspaper reports each year involving the deaths of Jehovah’s Witnesses and their children, the facts are clear that hundreds of Jehovah’s Witnesses or their family members may die or suffer debilitating complications every year for refusing (as required by Watchtower directives) to allow medical professionals to give them necessary blood transfusions. Being normal humans, Jehovah’s Witnesses will have accidents, suffer through serious diseases, and face organ failures as they age. And – just like the rest of us – they will go to hospitals expecting qualified doctors, nurses and technicians to do their professional best to cure, repair and heal them. Medical studies have shown that everyone has a 20% chance of needing a blood transfusion at some point in their lives. Certain patients, especially accident victims, will need immediate transfusions to survive long enough for doctors just to stabilize their condition before beginning corrective treatment. What happens when Jehovah’s Witnesses face such a situation? According to the Watchtower Society’s teachings they must refuse blood transfusions – no matter how dire their medical emergency might be. Some situations allow skilled doctors and specialists to find ways to work around the use of blood transfusions. Unfortunately, when injuries are especially severe, or there has been a delay getting a gravely ill or injured patient to a hospital, there are often no other medical options because the patient has lost too much blood. A fair percentage of the 7 to 8 million Jehovah’s Witnesses will face this dilemma each year. Some will surely die if they choose to follow the Watchtower’s teachings. Unfortunately, most JWs will have to make this decision either for themselves or for a member of their family during their lifetime. In recent years, the Watchtower has bragged about the number of “faithful Witnesses” who have remained steadfast and given up their lives by refusing needed blood transfusions. Those situations are frequently reported in newspaper obituaries and mentioned during Witness funerals, especially for younger Witnesses. On the other hand, when former Jehovah’s Witnesses and other Watchtower critics report on the alarming number of “blood related deaths,” the Watchtower claims that such incidents are “actually quite rare” and are “over reported” as part of some organized “apostate propaganda” program. Sadly, the evidence does not support the Watchtower’s response to these reports. Frequent news stories from around the world prove that reports of needless JW deaths are factual and well documented. Try as they might, the Watchtower and its Governing Body cannot deny the truth. In fact, the Watchtower is very proactive about making sure that Jehovah’s Witnesses or their family members do not weaken in their resolve when facing a personal blood transfusion choice. For nearly forty years, local JW “Hospital Liaison Committees” have actually shown up at hospital emergency rooms trained to block any efforts to convince JWs needing transfusions to change their minds and give themselves a chance to live. I’m sure many Jehovah’s Witnesses have been relieved when a hospital or local child protection agency has been able to get a court order allowing the doctors to use blood to save their child’s life. Unfortunately, court orders often arrive too late to be effective and the Watchtower “wins” by default due to creating a delay in treatment. The Watchtower might “win” – but the patient “loses” everything. Some hospitals have banned JW Hospital Liaison Committee members (who are specially trained elders within a circuit or larger Kingdom Halls) and had the police remove them under threat of arrest or lawsuit. Some HLC representatives have actually encouraged JW parents to “kidnap” their own sick children to get them out of the reach of civil authorities. 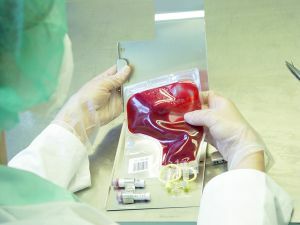 Recently the Michigan (USA) Court of Appeals ruled that doctors were not responsible for the 2007 death of a woman who refused blood transfusions because of her Jehovah’s Witness beliefs. An appeals court upheld a Macomb County Circuit Court judge’s dismissal of the case filed by the estate of Gwendolyn Rozier. A lawyer for Rozier’s estate indicated that another appeal is being considered and prepared. Gwendolyn Rozier’s estate sued several physicians and St. John Hospital. The estate’s attorneys argued that the doctors were guilty of medical malpractice “by making medical decisions that required blood transfusions to save her life.” They claimed that the doctors knew about her religious convictions but did not use proper medical procedures to prevent her loss of blood during and after her kidney transplant. When doctors discovered that her system rejected the kidney, they realized they could not save the transplant without blood transfusions to support the additional operation. Mrs. Rozier had signed documents stating that she refused to provide consent for blood transfusions. Her husband supported her position and refused to change the consent on her behalf. Both of the Roziers based their decision on their belief in the Watchtower’s blood doctrines. Mrs. Rozier was 55 in August of 2007 when she received a kidney donated by her daughter. Three days after her release she was rushed to the hospital suffering severe abdominal pains. Doctors removed the transplanted kidney. Mrs. Rozier died August 29, 2007. The plaintiffs’ attorneys expressed their view that it was not Mrs. Rozier’s fault that she died from her body’s rejection of the transplant and subsequent lack of blood. In spite of documented facts in this case, they blamed the doctors for not finding some other appropriate method to prevent blood loss. Jehovah’s Witnesses only refuse blood transfusions because of specific doctrinal teachings promoted and enforced by the Watchtower Society. They do not come to this decision based on their own understanding of Bible history or any typical or traditional Christian doctrinal standards. The Watchtower runs frequent articles in their publications that continue to promote the idea that blood transfusions are in some way a violation of ancient Hebrew religious laws forbidding the eating of blood directly from dead or dying animals. They ignore the fact that blood transfusions were not known or even possible prior to the 20th Century – so the ancient prophets, early Christians and other writers of the Bible could not imagine the modern medical techniques involved that are available to us now. Jehovah’s Witnesses also ignore the fact that Jewish scholars and rabbis make it very clear that transfusions from one human to another to save a life do not violate the Torah and do not fail Jewish dietary laws that set kosher standards. The truth is that most Jewish rabbis – even the most conservative among them – will simply shake their heads at the idiocy and lack of logic displayed by the Watchtower’s so-called “Bible-based” blood transfusion doctrines. Hey, Robin! I symphatize with your feeling about religion. I do not intend you to complicate your thought about believing in who further but as a follower of Christ i want to help you out in a very small way i can. To attain peace of mind, i do suggest you to read the book of John everyday, with an open mind, untill you are able to FEEL the word of Jesus right in your heart. Just remember that whatever comes to your way make it a firm principle that you will mirror it from the word of Jesus and nothing else. Rest assured that i am not bluffing but this is the way how i found the real peace of mind. 1 John 5:14 says that “no matter what we ask God will give us as long as it is in accordance to His will.” Ask for His guidance and you can be sure you will find the desire of your heart. Someone had said that this is a demonic organization and they need the blood sacrifices. Just repeating. John, thank you so much for this timely post. Next week, Anna Macaluso will share her personal story about the Watchtower’s blood policy and her close encounter with death, a heart-rending story, albeit with a happy ending. Human sacrifice to the Watchtower gods. Well said John Hoyle thank you! Wait, this patient went through a kidney transplant with no blood, and they’re blaming the doctors for her death? How irresponsible! The doctors are not miracle workers; any procedure that serious is probably going to involve massive blood loss. Letting her die is one thing but then trying to sue them after the fact is obscene. Take responsibility for your own decisions like grownup adults! If I refuse to wear a seat belt I don’t blame Mazda for getting hurt in a head-on collision. Disgusting. First off , the only reason that the older men in Jerusalem had decided that a Christian in that early congregational community should abstain from blood . . . was because that there were many Jewish people newly associated with the Church who might “eat blood” , and consequently have a sense of guilt that they had sinned against God ! Paul later set the issue at rest when he discussed this within his epistle to the Galatians . For the Galatians , it was sanctioned in Scripture that on should abstain from blood necessarily , only if it would cause one with a weak conscience to eat blood and then condemn oneself , as though he or she would have sinned against God . The Watchtower movement has gone well beyond the things that are written in Scripture . John, great article! You might also want to mention that WT allows members to take “fractions” of blood, which essentially amount to 100% of a transfusion product. However, they don/t ‘advertise’ this, it’s just a sneaky way of absolving themselves of any deaths. Additionally, JW are now allowed to accept a transfusion of Hemopure, a derivative of cow’s blood. And wasn’t the original edit to abstain from ANIMAL blood? Such hypocrites. 20 In God’s eyes, Satan’s entire world is bloodguilty. Its political systems, portrayed in the Scriptures as vicious beasts, have slaughtered countless millions, including many of Jehovah’s servants. (Daniel 8:3, 4, 20-22; Revelation 13:1, 2, 7, 8) Hand in hand with these beastlike powers, business and science have worked to create some of the most heinous weapons imaginable, making huge profits in the process. How true that “the whole world is lying in the power of the wicked one”!—1 John 5:19. 21 Because Jesus’ followers are “no part of the world” but remain strictly neutral toward its politics and wars, they avoid personal and community bloodguilt. (John 15:19; 17:16) And in imitation of Christ, they do not respond violently when others persecute them. Rather, they show love for their enemies, even praying for them.—Matthew 5:44; Romans 12:17-21. 22 Above all, true Christians avoid involvement with “Babylon the Great,” the world empire of false religion and the most bloodguilty of all. “In her,” says God’s Word, “was found the blood of prophets and of holy ones and of all those who have been slaughtered on the earth.” Thus, we are warned: “Get out of her, my people.”—Revelation 17:6; 18:2, 4, 24. 23 Abandoning Babylon the Great involves more than having one’s name removed from a membership roll. It also includes hating the evil practices that false religion condones or openly advocates—such things as immorality, political meddling, and the greedy pursuit of wealth. (Psalm 97:10; Revelation 18:7, 9, 11-17) How often these activities lead to bloodshed! Great article! Watchtower needs to start taking accountability for the lives that have been needlessly lost through its ludicrous interpretation of scripture. I can think of five cases of people having died becuase of refusing a blood transfusion, one of them their family left the organization not too long after that and now protest against that teaching publicly. I had a very close friend who refused a bone marrow transplant because of the same teaching and he passed away at the age of 21. When my dad was an elder I was there with him once sitting in the waiting room of the ICU when he and the body of elders walked out together saddened because the sister they were trying to “help” decided to have a blood transfusion to save her life and got DF’ed and never came back and moved away. In my short life I know for a fact that people pass away all the time because of this teaching, even after it was “allowed” to have portions of blood many still refuse to have any kind of treatment of that sort. I know that when i need surgery I sure as hell will accept blood, a friend of mines who is DF’ed and almost died giving birth because she is still stuck in that mindset and refused a blood transfusion. A “Bible-trained conscience” is not the same as a Watchtower trained conscience . We can choose either way . For me , I’ll let Scripture govern . 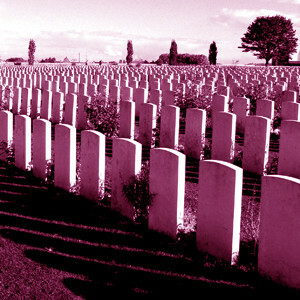 I agree with the above revelations of facts and W T responsibility of deaths. They off alternative blood expanders as a subtitute. WT are not doctors and should NOT take it upon themselves to dictate the conscience of another–it IS there Life and God guides us to obey in love, to benefit oursleves, our families, friends, community. I Say GOD without religion. Even though there is good and bad in all should not be forced to remain in one who requires ones life/blood as their due sacrifice.